As should be the case with all high-quality home construction, a home improvement project with Bordner is performed in phases to allow for monitoring and inspections before, during and after each phase. These phases are seamless and the completion of one, followed by the beginning of another, generally goes unnoticed by our customers. One of Bordner’s highly trained home improvement consultants will conduct a comprehensive inspection of your home to determine the scope of home renovation work necessary, and any existing or potential problems. During our home inspection, and to assist in our analysis, our consultant will create a detailed drawing of your property. This drawing will include your existing ventilation system, sheet metal and flashing locations, landscaping, and any areas in need of special concern or attention. This inspection and analysis will provide the facts we will use in recommending the appropriate scope of work – usually “no work currently necessary,” “repairs,” or “full replacement.” Photos will also be provided for all areas of concern. During this step we will provide you with all the facts and information gained by our home inspection and analysis. We will explain what it all means and answer all your questions. In addition, we will listen to your concerns, ideas and objectives, and assist you in any manner necessary to help you make the best decisions regarding the scope of work and materials for your home improvement project. The Contract Phase is a result of, and will reflect, your decisions regarding home renovations. Every contract from Bordner is thorough, customer-friendly, and specific to your home improvement project. A contract with Bordner specifies the scope of work for your project, and our obligations and responsibilities to you. Staff Supervision – In addition to a job site foreman, we employ staff supervisors who oversee all jobs. Our supervisors have no responsibility other than making sure that our home improvement crews perform according to our installation and behavioral standards. Standards – We have a firm set of technical and behavioral standards to which we hold our home installation personnel. In addition to requiring proper home installation techniques, we do not allow such offensive behaviors as loud music, inappropriate language or lunchtime trash at our job sites. We respect you and your home. Our organization is built on a high level of customer service with resulting referrals to new home improvement customers. Our scheduling supervisor will notify you regarding the delivery date of your home improvement materials. On the date specified, a specially-designed vehicle will transport materials to your home. If you’re having roofing installation or repair, the materials will be spaced appropriately to ensure a safe distribution of weight over the roof area. Prior to the beginning of work, the supervisor responsible for overseeing your home installation will brief the job site foreman regarding all pertinent information specific to your job. Special precautions will be taken to ensure that the exterior of your home is protected from debris associated with the removal of your existing materials. This protection is provided by the use of tarps, plywood screening and other materials when necessary. Any existing materials will be removed and placed in a vehicle for transport – we do not use dumpsters unless absolutely necessary. By using our own trucks and trailers for hauling debris, we can eliminate damage to your driveway often caused by dumpsters, and remove the trash vehicle each night. The current condition of your home’s construction will be inspected. All damaged or rotted materials will be replaced prior to the installation of new materials. Moisture barriers will be installed as needed. If needed, additional materials such as flashing will be installed to prevent weather damage. All materials will be installed using the proper fasteners and according to the manufacturers’ specifications and local building codes. Proper insulation and ventilation will be installed as needed (click here to learn why roofing ventilation is so important). The quantity and placement of vents are determined by our Analysis of Existing Conditions conducted during Phase I.
Cleanup around your home is a very critical step in our installation phase. Your property will be inspected to ensure that all debris is removed. A special magnet with wheels will be used to remove all loose nails. After completion, a Quality Control Inspection will be conducted to ensure that our installation crew performed the home installation project according to our technical standards, the manufacturer’s specifications and local building codes. Whether it pertains to a problem we discover during our Quality Control Home Inspection or an issue that concerns you, we have an outstanding customer service department to ensure that we provide the high-quality home installation we promised and that we quickly take care of the occasional mishaps that occur during the installation process. The goal of our entire company is to be sure you are satisfied with the work we perform for you. We take pride in meeting your expectations and recognize the great value of having you as a home improvement customer of Bordner. After your project is completed you will receive a phone call from either your sales consultant or someone in our Customer Service Department. The purpose of the call will be to determine if you are satisfied with the work performed and materials used on your project. Any concerns you express during this call will be addressed and resolved immediately. After work is completed on your project you will receive a very brief questionnaire – 10 questions, most of which require only a checkmark to answer. We ask that you simply answer the questions and drop this pre-addressed, postage paid card in the mail. Again, the purpose of this contact is to determine whether or not you are completely satisfied, or if we need to take further action regarding your project. 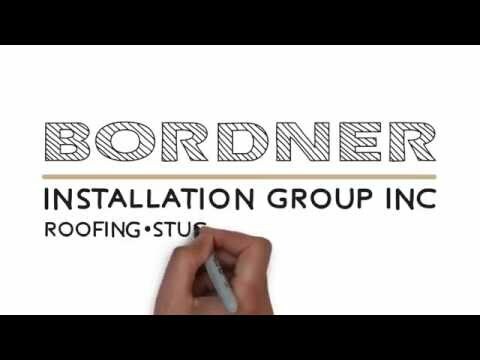 We hope you will seriously consider having your home improvement project performed by Bordner. We believe you will be pleased with that decision. For a FREE, no-obligation inspection and estimate, contact us online or call 816-358-2102.